Hi. My name is Alyssa and I’m addicted to making flannelboards. No, really, it’s becoming a problem. This all started last Fall. We hadn’t hosted a baby program at the library for three years and I decided it was time to try again. As I was gathering materials and making program plans, I decided that I wanted to have a flannelboard as part of my baby program. I had made a few flannelboards in the past for programs but it wasn’t something I did very often. So I poked around the Flannel Friday blog and Pinterest page, found a few flannelboards I liked, and made them. And thus, a flannelboard making monster was created. Since October 2015, I have completed 21 flannelboards, have 3 in production, and plan to make 3 more for upcoming programs. BUT DO YOU REALIZE HOW MUCH WORK THAT HAS BEEN?!?! 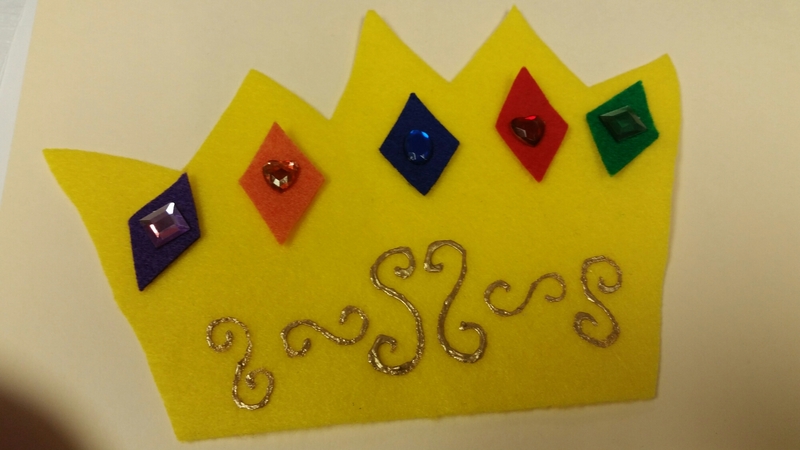 THE AMOUNT OF FELT, TACKY GLUE, AND PUFF PAINT USED?! 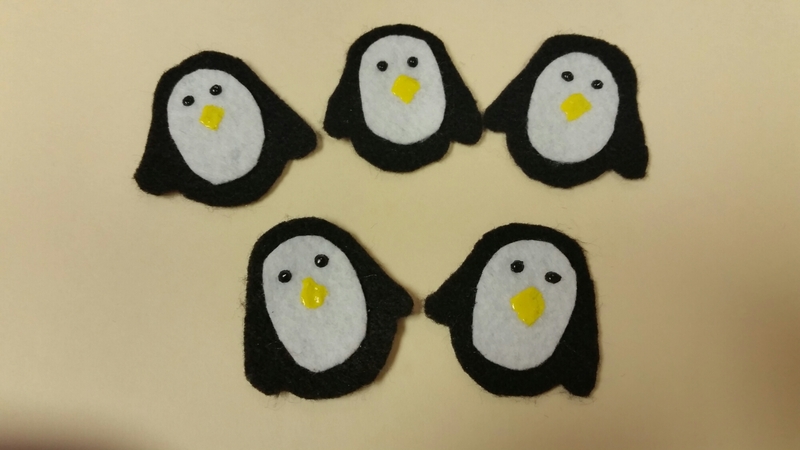 Like these five little penguins. Oh, don’t forget this crown! My staff has threatened to stage an intervention…until they realized they can use these flannelboards without the hassle of making them. Now, if you’ll excuse me, I need to make wings for my bumblebee flannel.